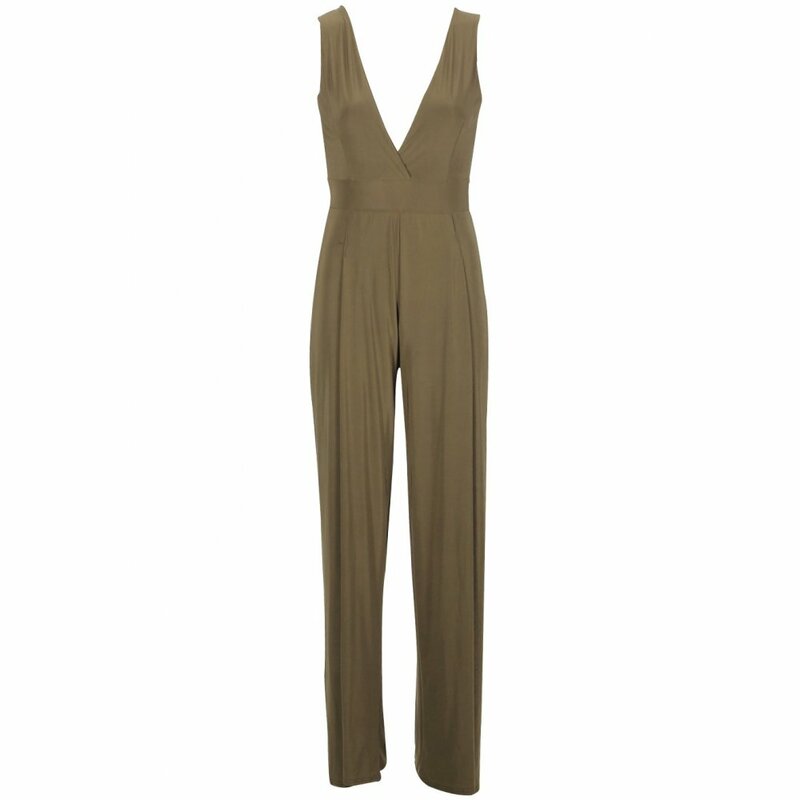 We're in love with this khaki dream of a jumpsuit. 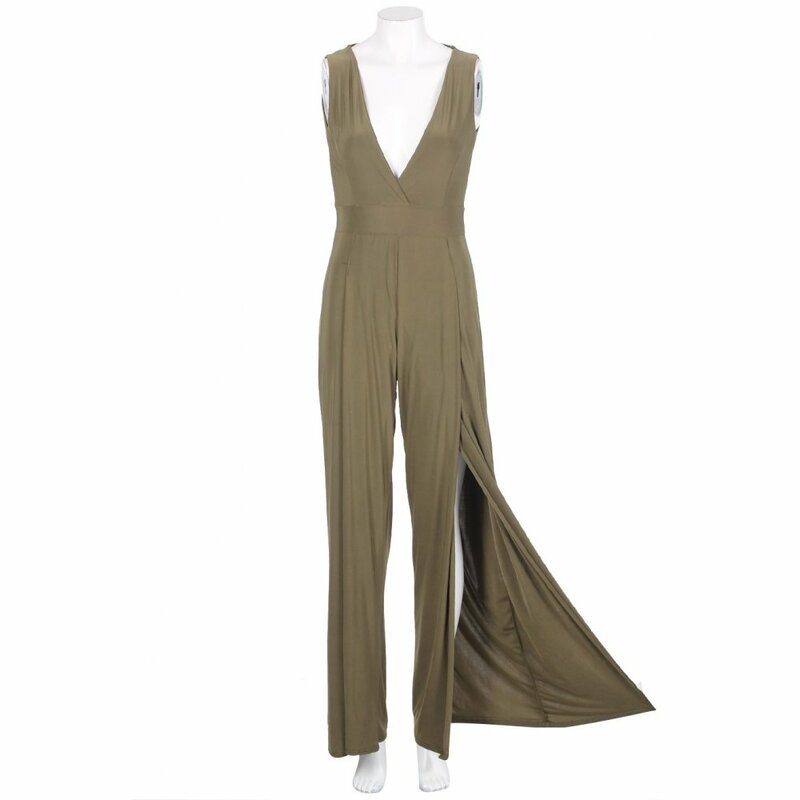 This slinky wide leg jumpsuit is definitely one to turn heads, featuring two seductive slits and a plunging neckline. Wear with killer heels and a minimal clutch and let the jumpsuit do all the talking. To view our size guide, click here. 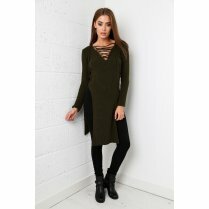 Orders purchased before 3pm (UK time) on working days are dispatched on the same day, any orders after this time will be dispatched the next working day. Any orders placed over the weekend or on a bank holiday, will be dispatched the next working day. For full delivery information, click here. Applies to orders made before 3pm on working days. For full details, click here. For full delivery information, click here. We hope you love your item, but if you do have any problems you can return your item 14 days after you receive it. For our full returns policy click here. © 2019 Miss Foxy. All Rights Reserved.